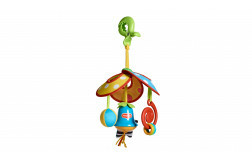 Enjoy a whole set of musical instruments especially designed for toddlers! During the first three months, your newborn baby will enjoy the mat's soothing tunes and begin exploring its various features. 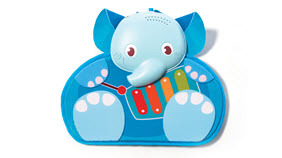 Use the mat's fun musical features to engage baby and help extend tummy time, playing with the stand-alone fun Elephant Kicker, which can be detached and used independently in the crib or even on-the-go. The musical feedback and various features will help baby learn about cause and effect. 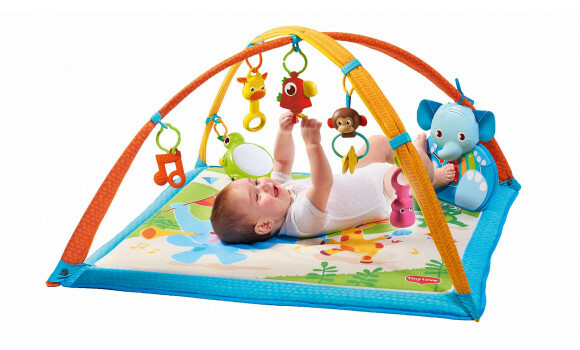 Let your growing baby enjoy playing with the set of musical instruments. As baby grows older, she will be able to play with the musical toys in a more sophisticated way, producing a variety of sounds and tunes. 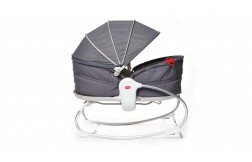 The Gymini® encourages baby’s gross motor development throughout the first year. 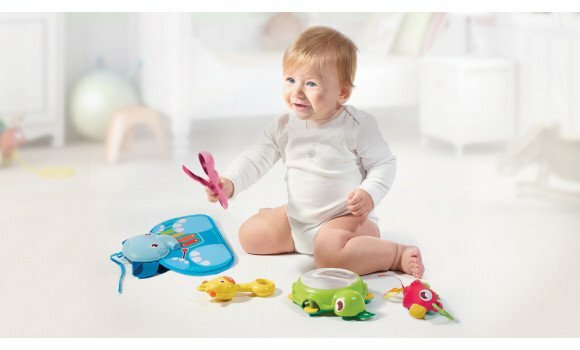 Captivating mirror and stand-alone Elephant Kicker toy help extend tummy time and strengthen baby's upper body muscles. 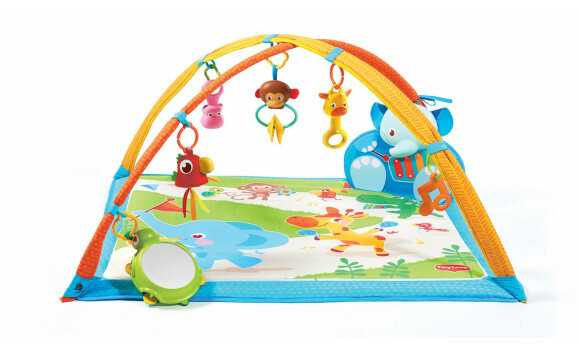 The product stimulates babies’ senses with bright colors, intriguing sounds and fun features. The textures, materials and various types of sensory feedback work on a variety of baby's developing senses. Playing with the toys in the Gymini®, particularly the Elephant Kicker, will help baby learn about cause and effect. 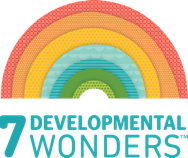 As baby grows and plays with the musical instruments in a more sophisticated way, other cognitive skills are encouraged. This was such a nice gift and a crowd pleaser at the baby shower. I was asked multiple times where I bought it!